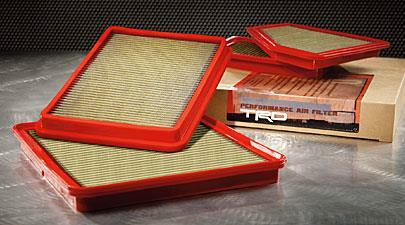 Increase performance with TRD Air Filters. 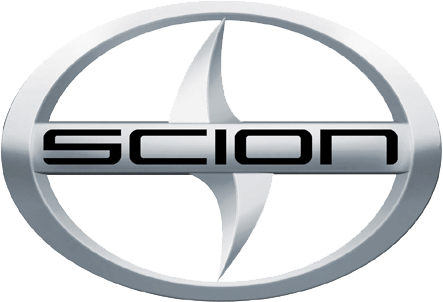 The free-flowing design allows for maximum air to enter your engine with minimal resistance, free of damaging debris. 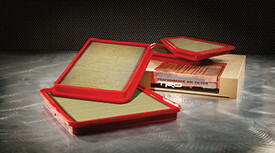 By reducing the amount of junk getting into your engine while increasing airflow, TRD Performance Air Filters can give your engine added power and better fuel economy. Enhancing the clean air flow without disturbing the calibration of the mass airflow sensor results in smoother, easier air intake and better overall performance without negative side-effects. 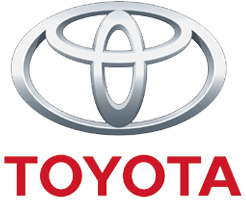 Vital for the protection and longevity of your motor, TRD High-Performance Oil Filters help prevent premature engine wear. 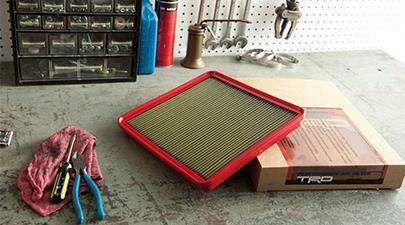 Simply put, a TRD Oil Filter takes the junk out of your oil giving you a cleaner, smoother running engine. Using a state of the art design and a perforated steel inner core to help prevent element collapse, TRD Oil Filters help your vehicles reliability even in worst-case scenarios.